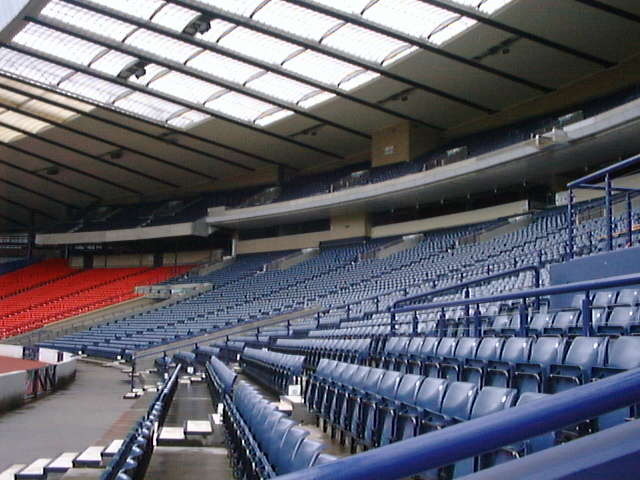 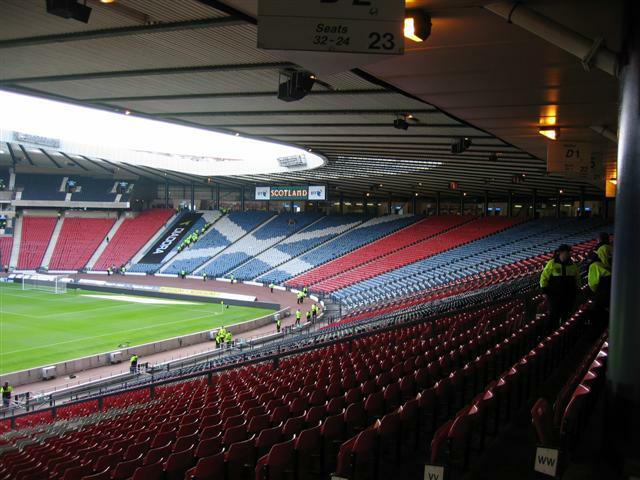 Scotland International home games Games are normally played at Hampden Park, Glasgow. 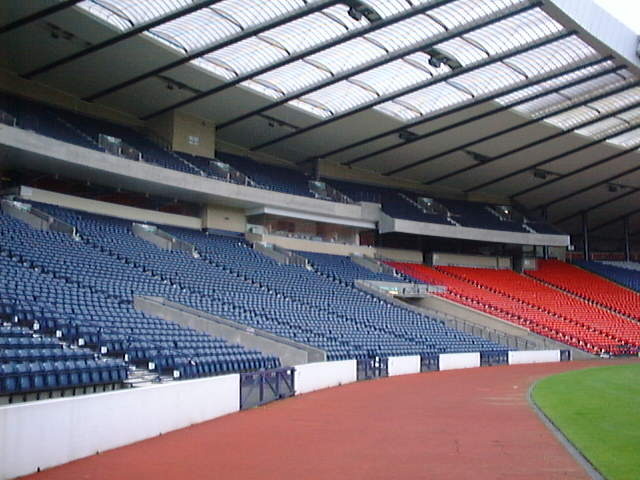 Games have also been played at Tynecastle Park and Easter Road in Edinburgh, Ibrox and Celtic Park in Glasgow, and Pittodrie in Aberdeen. 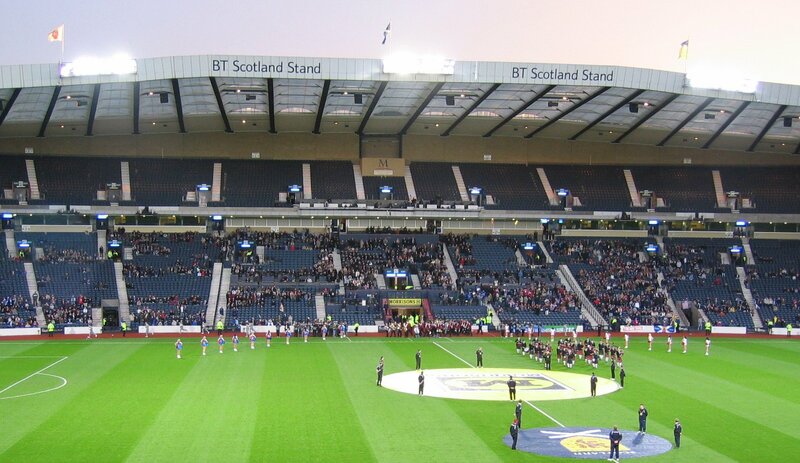 In 1937 it attained a UK record with an attendance of 149,415 for the Scotland v England Home International. 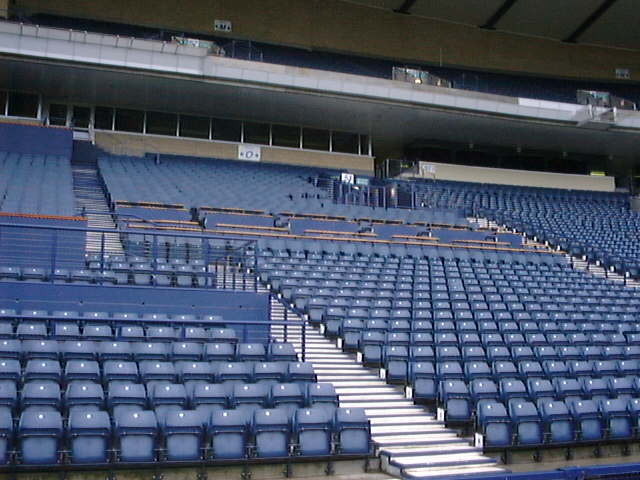 That was in the days of terracing and uncovered grounds - it now has an all seated capacity of 52,000 and a cover!